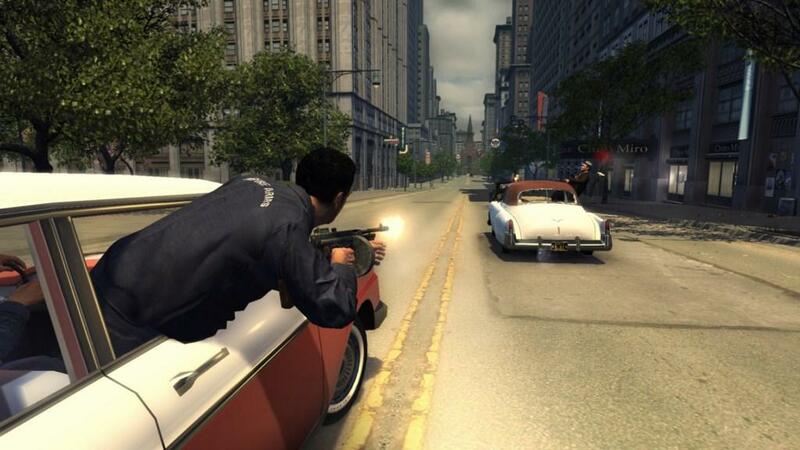 It has been roughly eight years since the original Mafia title, Mafia: The City of Lost Heaven, was released. 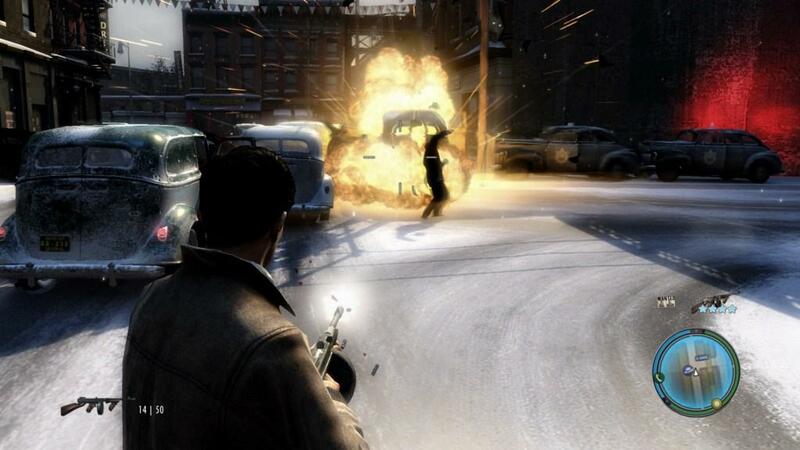 The latest iteration follows the timeline set by Mafia I (set in the 30s) to continue into the era of the 40s and 50s under control of the WWII veteran protagonist, Vito Scaletta. 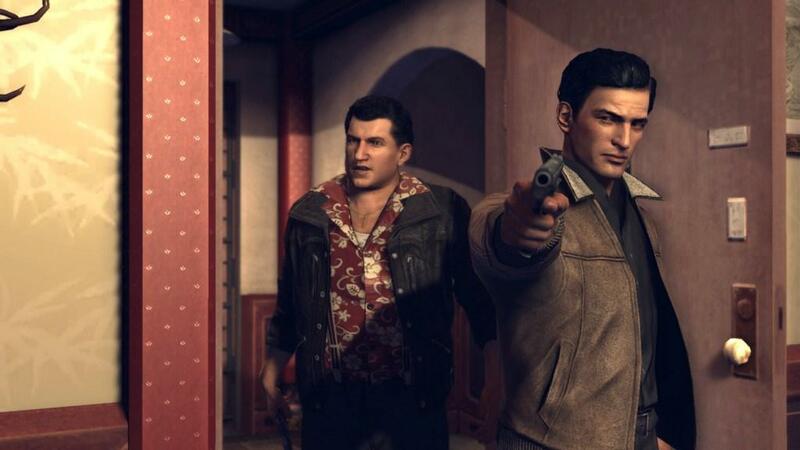 Our preview journey of Mafia II takes place through four main plot points, which sees Vito’s progression from preparing to return to the army from a leave of injury, to his rise in the crime family. Vito returns home in “Home Sweet Home” to a distraught mother and sister who are struggling with financial difficulties and debts owed to a questionable group of loaners. His presence is clearly needed, and his long-time friend Joe Barbaro’s generosity and promise to keep him out of the war could not come at a better time. Said generosity, of course, does not come without a price. Joe and Vito begin to involve themselves in acts of grand theft auto to earn a modest living while simultaneously building a reputation amongst the three major crime families. Slowly but surely, the tasks evolve from attaining a few hundred dollars from the lowly mechanic, to investigating double crossing at the hands of the Clemente family, and eventually to murder to avenge said betrayal. The missions unfold perfectly in terms of the direction of the plot line; you can see distinct differences even just on a visual basis from the juxtaposition of both time periods. While the 40s are more dreary due to struggles during war times, the 50s are flourishing and colored with the rise of advertisements. 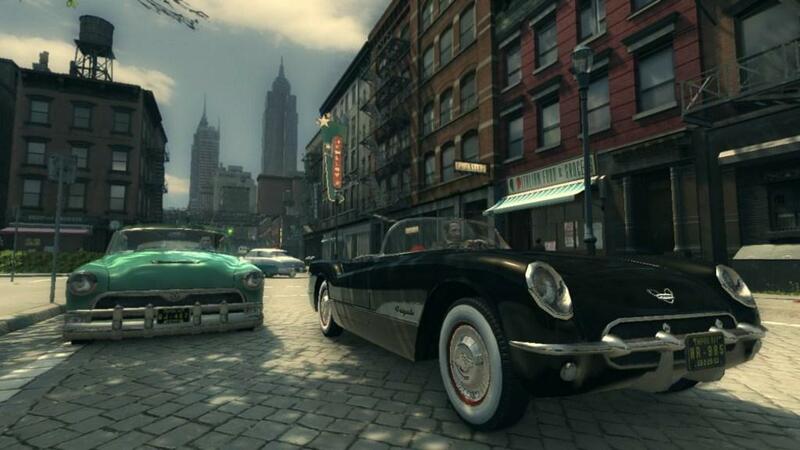 The city itself is a beautiful amalgamation of inspirations from real life locations like New York and San Francisco. There’s a balance between long stretches of bridges, a wide cityscape and variations of hills. You’ll see Empire Bay in the light of all four seasons, creating an ever more appealing experience of locale. This emphasis in creating an accurate atmosphere is something that 2K has invested a lot of time in. Detailed research was conducted not only for environmental intricacies, but also for weaponry, vehicles and music that compliment both the time periods reflected as well as the theme. Driving around in slow-moving vehicles with engines that sound like they are about to fall apart (and very well may) is part of the experience as much as tuning into various radio stations to cycle through what seems like an endless list of time-appropriate tracks. Exploring and navigating Empire Bay is just a small part of the gameplay experience. 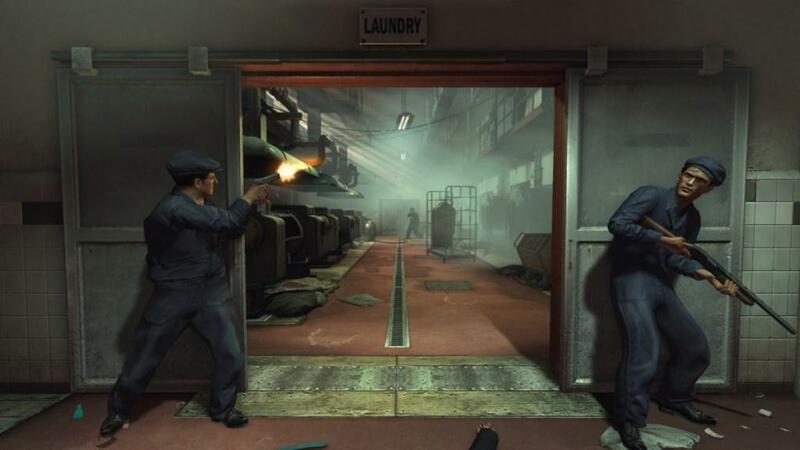 You can be rest assured that a fair amount of combat - complete with the appropriate weaponry from old style handguns and the famous (and my favorite) Tommy gun, to references to WWII era weaponry like the MG42 that you are introduced to in “Buzzsaw” - will keep your wits about you. Vito’s main combative technique, should you choose to embrace it, is a cover system embellished with auto aim upon peering out. This aspect of gameplay was equally straightforward as it was easy. 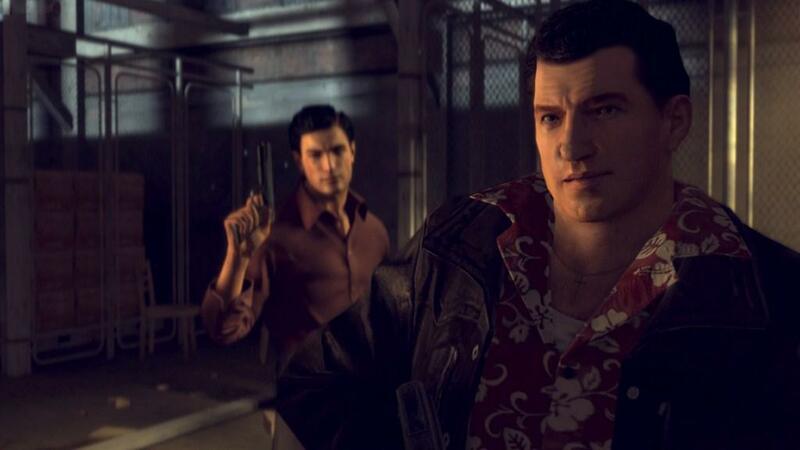 The only time I felt that enemies were particularly challenging was during a sneak mission to uncover the ulterior motives of an alleged loyal family member who had two of my companions held hostage in “Balls & Beans.” In order to eavesdrop on my feigned companion, I had to assure that Vito would not be seen. This was undoubtedly one of the more fun aspects of the game, given its unpredictability. Gunfights, on the other hand, are just as you’d expect them to be. At the most, enemies will appear on catwalks above, or will be carrying a particularly powerful weapon to keep you distracted while other goons attempt to flank you. Enemies will take cover based on their AI, but their movements are fairly predictable. 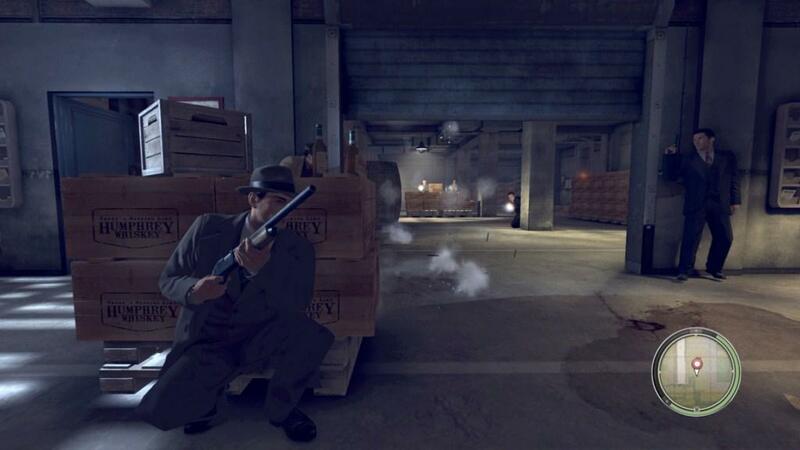 I got into the habit of placing my sights just above the crates a suited enemy might be hiding behind, simply waiting for him to pop his head back up (a very familiar feeling in games that implement a shooter perspective). Fortunately, some objects that enemies will attempt to take cover behind are destructible. I shredded through glass to expose two seemingly hidden enemies, and flanked around the last one who had knocked a table aside as cover. Some form of combat strategy will be involved, but it was certainly not the game’s focus. 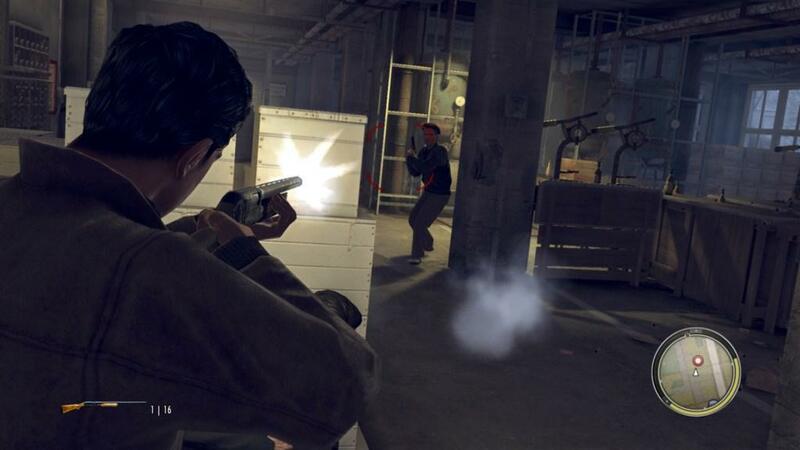 The shining qualities of Mafia II come down to the spectacular research that the developers at 2K did to create a realistic environment. Partaking in Vito’s climb through the Falcone family felt like a believable tale. The voice actors embody the exact accent and attitude you would expect to compliment a script of this nature, and their renditions/personalities range from a chubby womanizer to the tall and lanky evil-spirited mobsters. I left playing the game very much wanting to continue the storyline and see what other conspiracies would be uncovered, as well as investigate the characters you meet along the way. There are hints of palpable tension in some dialogues and interactions, where emotions run rampant and yet also somehow subtle. 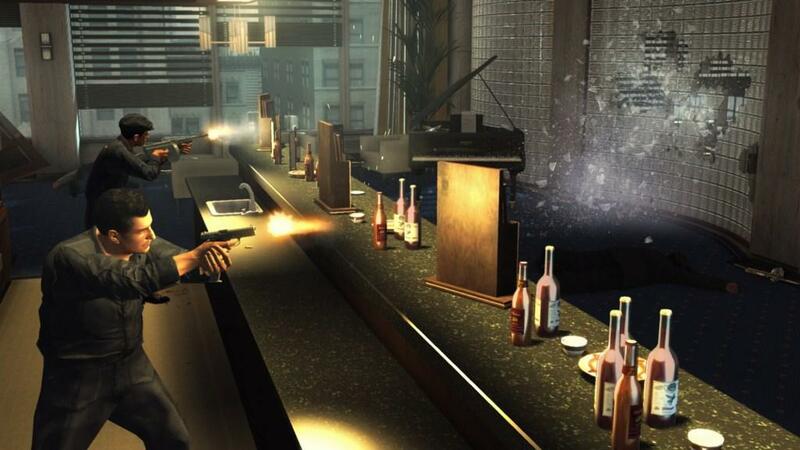 Certain games are designed with exceptional and unique gameplay in mind. 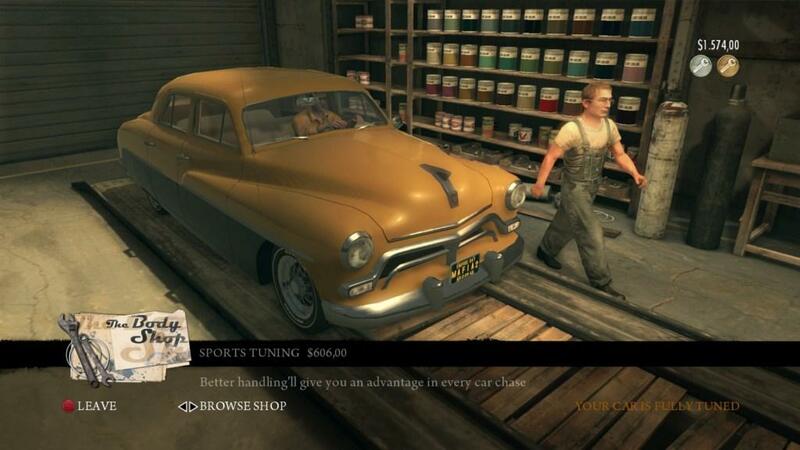 Mafia II does not hold this credit. 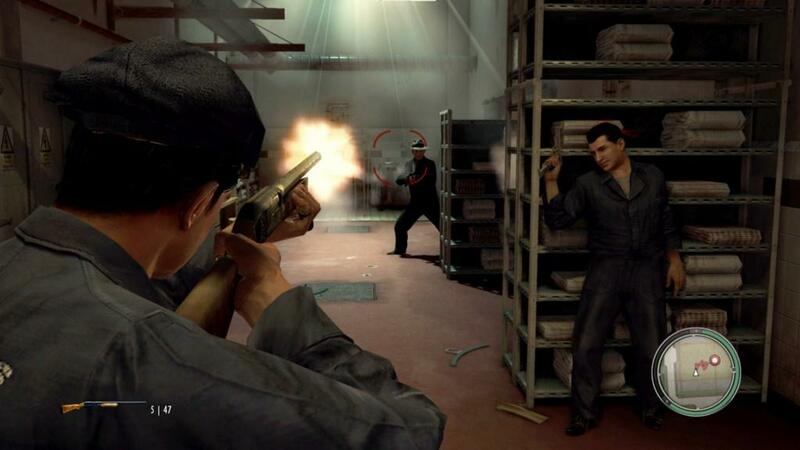 Rather, Mafia II’s appeal is in the in-depth storyline and well researched background, from the characters to the accessories to the history. This is one game I will definitely want to explore further for the sake of its story-driven design. We'd like to thank the developers and representatives at 2K Games and Access PR for providing airfare and lodging for the event.